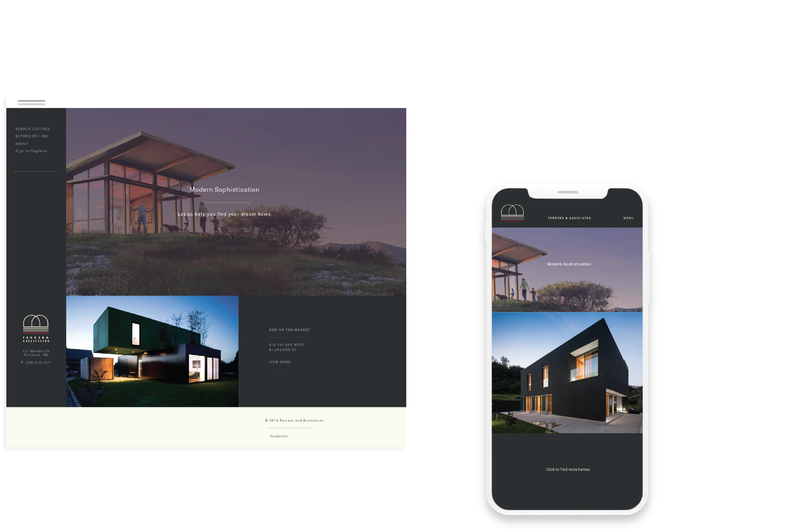 Kirkland Washington real estate agent group Ferrera & Associates came to pley.ground looking to create a logo, brand identity and a future web presence that demonstrated their love for modern architecture. We focused on creating a mark that exemplifies trust between the real estate agent and their client. 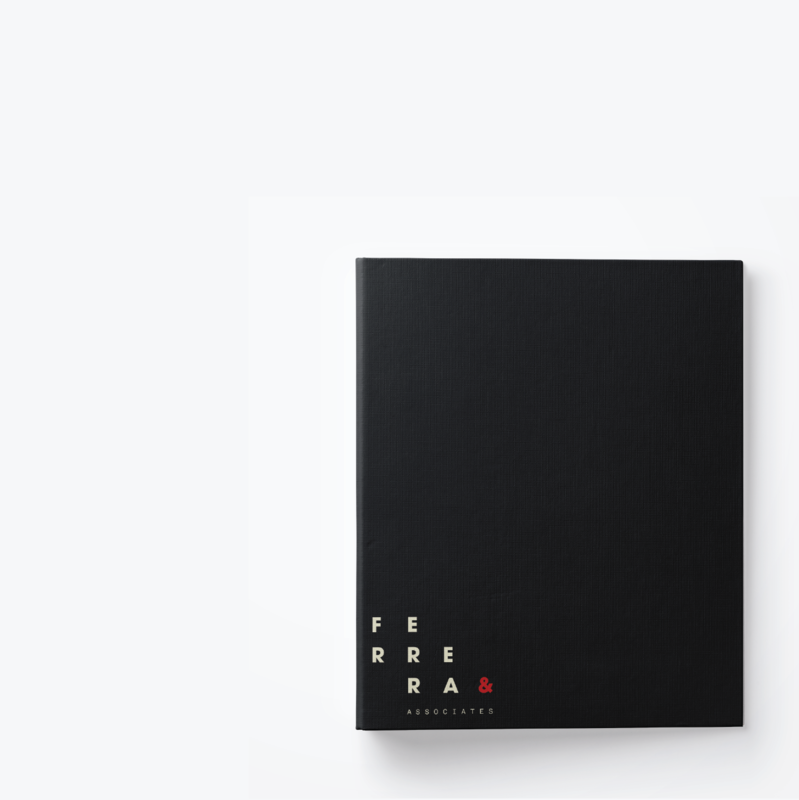 The mark created for Ferrera & Associates symbolizes two chairs — one representing the real estate agent and the other representing their client. Early conservations indicated that trust between the client and agent was of upmost importance with Fererra & Associates. The concept of chairs came when the client told us that in all the interior photos of homes being sold were always staged with a red chair. The use of the secondary logo is intended to be used on internal documents and filing systems. 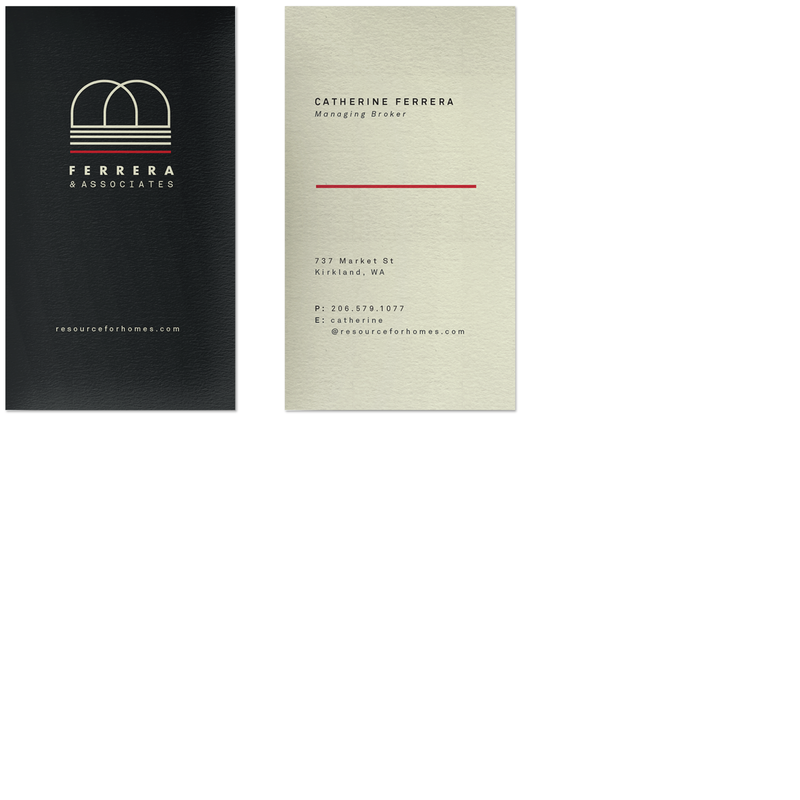 The logotype was inspired by the modern homes sold by Ferrera and Associates.